Students will test for nitrogen, phosphorus, potassium, and pH using syringes and test tubes to obtain accurate results. 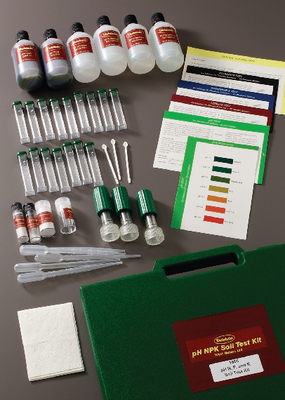 The supplied reference cards give information about each test, and offer recommendations for applying fertilizer. The kit contains enough reagents and materials for 120 tests and a teacher’s guide and comes in a sturdy carrying case.